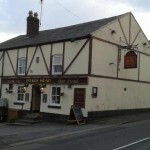 Trying to find pubs in Mold? You’ve come to the right place. We’ve got every pub and bar in the UK listed. Whether you’re looking for a pub or bar in Mold to play darts, somewhere to play pool or just want to have a look at a menu before you go, we can help. The Loggs is a pub with a story to tell...Come inside, pull up a chair and over a local cask ale or a glass of wine, while away an hour or two discovering its enchanting history. Top Monkey in Northop Hall holds quiz nights. Miners Arms in Maeshafn has a beer garden. The pub has an outside area, it has live music events. Miners Arms shows football on TV. The pub has terrestrial TV. Rainbow Inn in Gwernymynydd has an outside area. Druid Hotel in Llanferres has a beer garden. The pub has a car park, it is a family friendly pub. Druid Hotel serves food. The pub has an outside area, it serves real ale. Great food and drinks. Excellent service. Ruthin Castle in Mold has a beer garden. The pub has an outside area, it has a dart board. Ruthin Castle has a pool table. The pub shows football on TV, it has terrestrial TV. Y Pentan in Mold serves real ale. The pub is a member of Cask Marque. 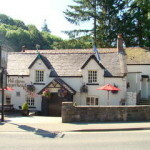 Dolphin Inn in Mold has accommodation. The pub has a beer garden, it has a car park. Dolphin Inn is a family friendly pub. The pub has an outside area, it has free WiFi. Dolphin Inn has a pool table. The pub shows football on TV, it has Sky Sports. Dolphin Inn has terrestrial TV.